Carlo Bellavite Pellegrini (BSc Economics at the Catholic University of the Sacred Heart of Milan and Ph.D. in Economics at the Bocconi University of Milan). He is Full Professor of Corporate Finance at Catholic University of the Sacred Heart in Milan where he teaches Corporate Finance and Corporate Governance. He was visiting scholar at Cass Business School in London, at the University Cergy-Pontoise in Paris and at the University Carlos III in Madrid. 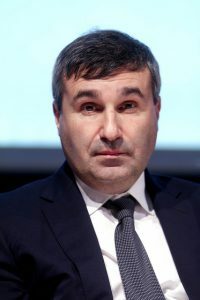 He is associate member of the Centre for Econometric Analysis at Cass Business School (London, England), member of several Research Centers (Research Centre of Applied Economics – CSEA; “Baffi” – Center on International Markets, Money and Regulation; CeMaFiR – Centre for Macroeconomic & Finance Research; Centre for Research on Cooperation and Development) and of Academic and Scientific Societies (ADEIMF – Banking and Finance Scholars Association; ECGI – European Corporate Governance Institute; NedCommunity; AIDEA – Italian Business Scholar Association). He is member of the Editorial Board of Rivista Internazionale di Scienze Sociali (RISS) and referee of Academic Journals at national and international level. Carlo is author of six monographs and of several scientific articles at national and international level. His main research interests include issues of Banking and Finance, Corporate Governance, Law and Economics, Corporate History of Banks and Industrial Corporations.